On his fifth solo album, Animal Collective co-founder Panda Bear aka Noah Lennox organizes his personal brand of electric chaos into a tidy little package. Panda Bear Meets the Grim Reaper sounds like the audio equivalent of a Magic Eye illustration. It’s all textures and patterns and nonsense but when you relax your focus and squint just a little suddenly it makes sense and a whole new image appears. Panda Bear and his fellow Animal Collectivists love to make noise and suffer an occasionally crippling aversion to song structure of any kind. I saw the group on the Coachella main stage back in 2011 and a large portion of their set was just free flowing electric noise that only occasionally converged into something I would feel comfortable calling a song. Their 2009 masterpiece Merriweather Post Pavilion worked because they were able to merge their sprawling synth soundscapes with compelling songwriting and on Panda Bear Meets the Grim Reaper, Lennox attempts to rekindle some of that same magic. There is a lot of psychedelic noise on this record but its got a solid core of well written tunes underneath the maddening layers of synth-fueled science experiments. For example “Lonely Wander” is a dainty piano ballad that slowly introduces all sorts of outlandish machine noises as the song progresses. It’s a simple song with a good heart but the extra stuff keeps things interesting. 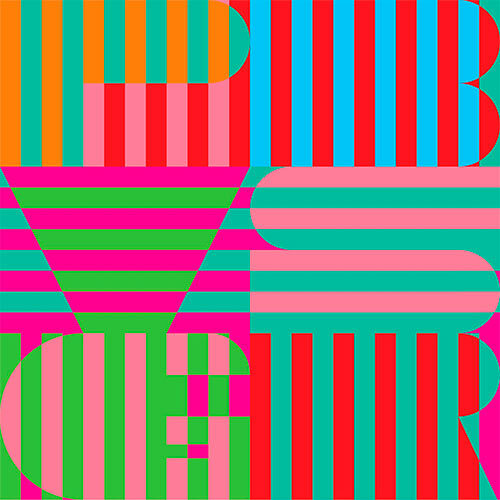 Panda Bear is at his best when the music has a defined sense of clarity. Aside from the knockout track “Mr. Noah” (check out the dizzying music video below), the album begins a little hazy but the last few songs are executed with purpose and they let the science experiment stuff compliment the melodies. I know it can be pretentious to justify music that is inaccessible but as a listener I love being challenged. Panda Bear Meets the Grim Reaper doesn’t reveal all of its secrets immediately and thats part of the fun. I started writing record reviews in my college dorm room in 2006 and now I'm all grown up and still can't seem to break the habit. Founder of Compact Discography and co-founder of Compact Culture.